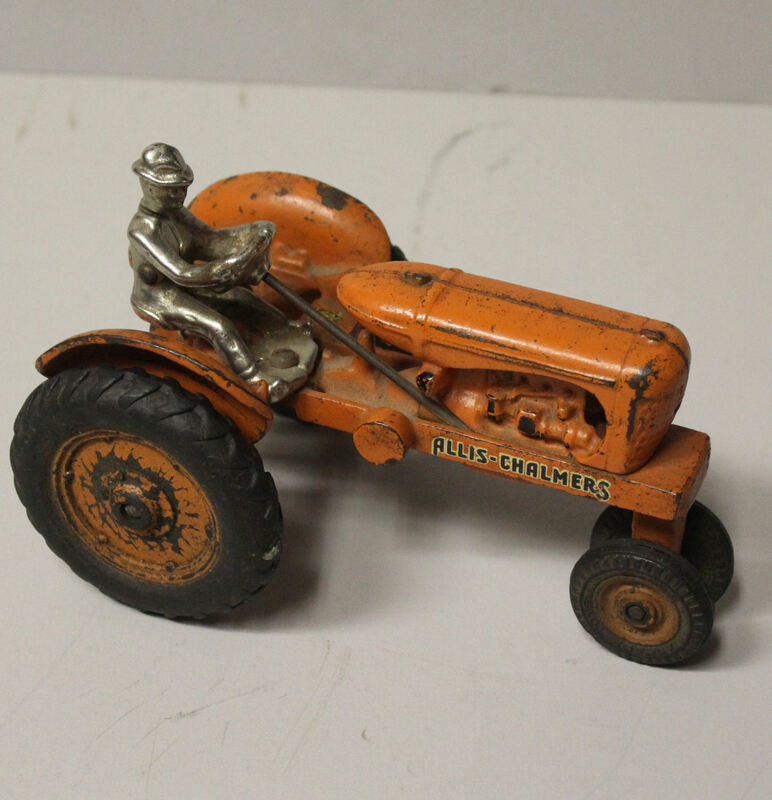 If you collect Arcade cast iron toy tractors then this all original WD model Allis Chalmers toy tractor will be one that you will not want to miss adding to your own personal collection. This tractor measures 7 1/4″ long and stands 4 3/4″ high and is 4 1/4″ wide. Again, excellent all original condition. Circa 1940 – 41. Don’t miss adding this tractor to your own personal collection.